i What are the hot topics? Shareholder activism continues to be a hot topic in United States corporate governance. 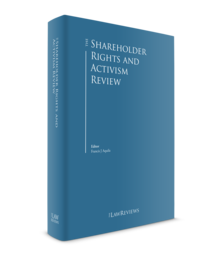 Although shareholder activism is not a new phenomenon, the evolution of shareholder activists and their campaign strategies, as well as the high incidence of activism, have ensured that shareholder activism remains a key focus area in the corporate governance landscape. Inextricably linked to shareholder activism is the high priority placed by both public companies and shareholders on both the quality and frequency of shareholder engagement. Other hot topics in US corporate governance include: changes to corporate governance policies adopted by influential proxy advisory firms, institutional investors and consortiums of investors and other stakeholders; continued implementation by public companies of proxy access (the ability of shareholders to nominate director candidates on a US public company’s proxy card); and a focus on board diversity, tenure and refreshment. Additional corporate governance topics being discussed in board rooms, by shareholders and other key stakeholders are a reflection of the challenges currently facing our society, including managing cybersecurity threats to communications among companies and their directors and a focus on making sustainability and other environmental and social initiatives a part of good governance. ii Tell us about any key legal developments – recent or pending – and their international impact. We continue to monitor the potential impact that the new Trump administration may have on our clients, including with respect to corporate governance matters, both domestically and internationally. In October 2016, the U.S. Securities and Exchange Commission (SEC) released a proposal for universal proxies, which would require the use of a proxy card in contested elections at listed US public companies that includes the director candidates nominated by both the company and the shareholder activist. Universal proxies would result in a significant change to voting practices in US proxy contests, but it is uncertain whether or not this proposal will move forward under the direction of the new SEC commissioner. In addition, the Trump administration may seek to roll back many of the corporate governance reforms mandated by the Dodd–Frank Wall Street Reform and Consumer Protection Act. iii What are the biggest opportunities and challenges for practitioners and clients? One of the biggest opportunities for practitioners and clients, including boards of directors, is to work more closely together prior to an activist approach to develop shareholder-focused outreach and communications programs that result in meaningful shareholder engagement and relationships. Practitioners and clients also have the opportunity to collaborate on the development of activism preparedness and response plans. 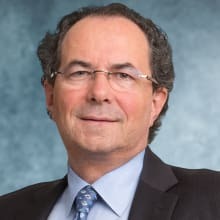 A significant challenge for practitioners is to keep apprised of the constantly evolving shareholder activism and corporate governance landscapes. Additionally, challenges facing clients include thinking critically about the company’s business and strategy, and closely monitoring the activist hedge funds and other investors that are moving in and out of the company’s stock, in order to best anticipate an activist approach.